As Vice President, Spain, Mr. Figueras establishes a country strategy to ensure consistency among all sites, and to lead and support all program development initiatives geared toward enhancing quality. Mr. Figueras also monitors the academic standards of our programs and ensures that CEA policies are in place to serve the CEA community and deliver study abroad programs of quality and rigor. Mr. Figueras has over 10 years of experience in the field of academia. Before joining CEA, he taught at Boise State University (Idaho), where he created an online language teaching program, developed Spanish course curriculum in the fields of Spanish Linguistics and Spanish for Heritage Learners, coordinated the Spanish Language Program, and served as the Director of the Undergraduate Spanish Program. Mr. Figueras also contributed to the development of a variety of teaching tools for various U.S. publishing companies, including two published workbook manuals for U.S. college students. Mr. Figueras sees study abroad as a magnificent opportunity for personal growth and development, alongside academic advancement. Exploring new horizons not only opens doors to new ideas and views, but also helps you calibrate your potential and abilities in a new environment. This experience supports the development of a lifelong set of skills highly transferable to the personal and professional arenas. 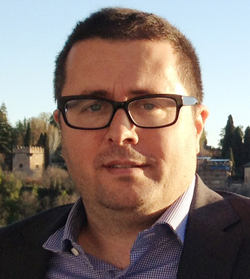 Mr. Figueras holds an Executive MBA from La Salle (Universitat Ramon Llull, Spain), a master's in Spanish from Middlebury College (Vt.), and a bachelor's in Communications/Journalism from Boise State University (Idaho). He is trilingual in English, Spanish, and Catalan, has extensive knowledge of Portuguese, and working knowledge of French. 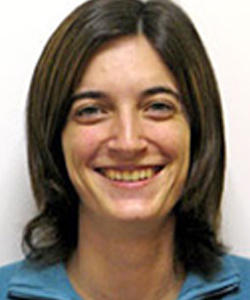 Ana's role is to ensure the academic quality of all CEA Barcelona programs. She reviews the curriculum and coordinates the development of new courses, reviews and maintains consistency of academic policies and practices, oversees the resolution of all important student academic issues, and provides support to faculty to guarantee academic excellence. Prior to joining CEA, Ana worked with another study abroad organization as a resident coordinator and faculty member. 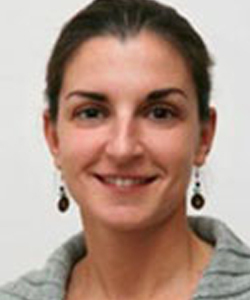 She's also held several university positions: Assistant Director of the Advanced Spanish Language Program at Georgetown University (Washington D.C.), Teaching Associate at Georgetown University and Universidad Antonio de Nebrija (Spain), and Teaching Assistant and Director of the Spanish House at Middlebury College (Vt.). Ana earned her Ph.D. in Spanish Applied Linguistics at Georgetown University, which also conferred to her a Master of Science in Linguistics. She also holds a Master of Arts in Teaching Spanish as a Second Language from Universidad Antonio de Nebrija and a Bachelor of Arts in Spanish Philology from Universidad Complutense de Madrid (Spain). Ana first travelled to Dublin, Ireland in high school and subsequently studied in London for four months. She also spent her senior year of college studying in Pisa, Italy and completed her graduate studies in Washington, D.C. She loves traveling and believes that understanding the world from different perspectives is the one of the most enriching lessons that students can learn while living abroad. 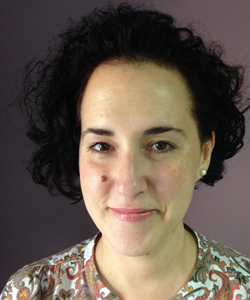 As Program Director, Laura's role is to provide leadership to the Student Support team at CEA Barcelona. She is responsible for management of staffing, financial logistics, student services, students accommodation, and Health & Safety issues. Prior to joining CEA, Laura coordinated European Language Exchange Programs in both Barcelona and London, working to offer accommodation and cultural activities to language students. 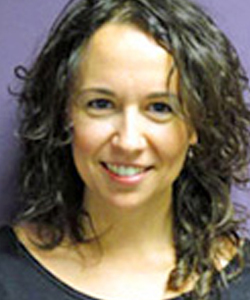 Laura holds a Bachelor Degree in Psychology from the University of Middlesex in London and has over 15 years of experience in the study abroad field, with extensive expertise in the planning, execution, and delivery of student services. Originally from Barcelona, Laura has extensively travelled around Spain, Europe and the U.S. She speaks Catalan, Spanish, and English. Laura firmly believes that traveling and study abroad are the best ways to expand and invigorate one's mind. She loves the fact that her job contributes to students' personal growth and to a better global cultural understanding. As a Spanish Language Coordinator & Senior Academic Advisor, Sonia manages the Spanish language courses to ensure high academic standards and course quality, as well as students’ registration in Spanish courses at CEA and our partner universities. She also manages the tutoring program, and organizes and supervises cultural activities designed to enhance language acquisition. In addition, Sonia teaches several Spanish language courses. Sonia was born and raised in Alcoy, Alicante, and graduated from the University of Alicante with a degree in Hispanic Philology. She speaks Spanish, Catalan, English, and some French. After graduation, Sonia accepted a job teaching Spanish at a small high school in Massachusetts, an unforgettable experience for her. After two years in the U.S., Sonia returned to Spain in 2002 to begin an M.A. in Teaching Spanish as Second Language at the University of Barcelona, which is how she ended up in Barcelona. 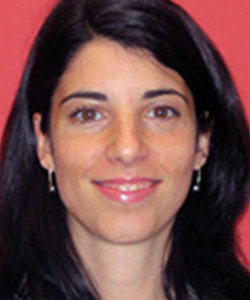 She has taught Spanish for various study abroad programs in Barcelona, as well as at ESADE Business School. 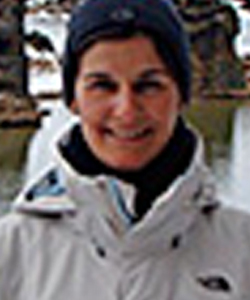 In her free time, Sonia enjoys reading, cooking, hiking, and traveling. Sonia became involved in study abroad because her two years abroad showed her what an incredible experience it is to live in a different country. The time she spent in the U.S. helped her to understand the world—and herself—a bit better, and this is why she encourages her students to make the most of the wonderful opportunity they have to live and study abroad. As a Senior Academic Advisor, Blanca works across different fields at CEA, including academic administration, teaching Spanish, and coordinating cultural activities. The combination of these three things allows Blanca to explore and develop her main passions: culture, arts, and languages. Blanca was born in Salamanca, Spain, where she graduated from the University of Salamanca in English Philology and Art History. After finishing her degrees, she decided to pursue her education in Barcelona, where she earned a master’s degree in Art and New Media Curatorship at ESDI (Barcelona), qualification issued by Ramon Llull University. Before Blanca joined CEA, she worked freelance in the cultural world for institutions such as Arts Santa Monica (Barcelona) and in the studio of the international artist Antoni Muntadas. She also taught Spanish to foreigners and designed cultural activities to connect them to the Spanish culture. Her main interests lie in all the expressions of the artistic and cultural world, reading, cinema, and travelling around the world, when she has the chance. She also likes to design and curate art exhibitions, a hobby she combines with her present job. 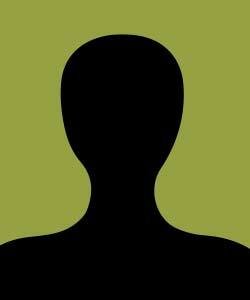 Sandra is the primary contact for students in all issues related to student services. She keeps the Director informed and responds to student concerns in a timely manner. Sandra provides support to housing and academic coordinators and is responsible for assisting in planning and implementation. She also provides students with weekly email bulletins and supports students in their transition into the local environment. Sandra was born in Brussels to Spanish parents. Thanks to her origins, she has always experienced the Spanish culture. After finishing her studies in 2001, she moved to the Catalan capital where she started her career in the tourism industry, working mainly for incoming travel agencies. She was also involved in projects for a European business women's association, financed by the European Commission. Sandra earned a degree in Tourism at the Superior University School ISALT in Brussels and did a four-month internship in Barcelona during her last academic year. Sandra speaks Spanish, French, English, and Catalan. As part of the Student Support Team, Mónica's role is to oversee and coordinate all logistics related to Student Services. She focuses on health and safety issues, acts as procedures and Health Services liaison, contributes to the organization and operation of student arrival and orientation, and to the execution and continuous improvement of the Academic-Integrated Cultural Activities (AICAP) program. By creating initiatives to facilitate global competence and personal growth, Mónica works to ensure CEA students receive the quality assistance and guidance they need to make the most of their experience abroad. Born in Barcelona, Mónica has spent time in England, France, and Morocco. While still in school, Mónica spent some months as a hotel trainee in Paris and rural England. It was here she discovered her love of travel and meeting people from different places. After finishing her studies, she worked in London's hotel industry. As a result of her interest in other cultures, she lived for a while in Fès (Morocco) doing volunteer work and learning about the Moroccan culture, language, and way of life. When she came back to Barcelona, Mónica worked as a group organizer and tour leader for incoming travel agencies. Mónica earned a Tourism Degree at the University of Girona. She speaks Spanish, Catalan, English, and French. Bea is responsible for creating the best experience for CEA students while in Barcelona. As part of the Student Support Team, she focuses on student accommodation, ensuring the commitment and enthusiasm of our host families as well as the quality and suitability of our apartments and residencias. Bea provides students with the assistance and guidance they need to become familiar with their new surroundings and adapt to life within a new community. Creating initiatives to facilitate global competence and personal growth, Bea also participates in the onsite Academic-Integrated Cultural Activities (AICAP) program. Bea earned a degree in tourism through the University of Barcelona. She has worked in a holiday apartment company and participated in internships in the hotel industry in Barcelona and in the Costa Brava in Girona, and as the coordinator for summer programs for international students in Barcelona. She has also organized academic year programs and summer camps abroad for Catalan students, mainly in the U.S., England, and Ireland. After her positive experience abroad in a boarding school in Ireland, Bea recommends students be open to a different culture and gain the most of the each unique moment. As CEA Barcelona’s Experiential Learning Coordinator, Maria's role is to ensure the good process of daily operations related to experiential learning programs, including volunteering, international service learning, and career mentoring. 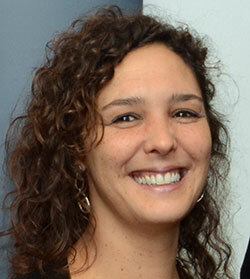 Maria teaches Cross Cultural Management and Career Development courses at the CEA Barcelona Center. Along with her work at CEA, Maria delivers intercultural training workshops to individuals and groups, helping them develop and enhance their intercultural competence so they can work and live effectively across cultures. Development, and a bachelor’s in Communication/Journalism, both from Universitat Autonoma of Barcelona (Spain). She speaks Catalan, Spanish, English, French, and basic Kiswahili. She is currently a member of the Board of SIETAR Spain (Society for Intercultural Education, Training and Research), the Spanish branch of an international organization that seeks common understanding and cooperation among people from different cultural backgrounds. Maria is passionate about cultural diversity and strongly believes that studying abroad is a wonderful opportunity to broaden perspectives and develop the skills needed in a complex, changing, and interdependent global world.